Note that Josiah Wedgwood formed a partnership with his cousin, Thomas Bentley, in 1769. Three distinct marks were used during this period. Overall, the piece was marked with the words “WEDGWOOD & BENTLEY” that formed a full circle. However, sometimes this mark was also encircled, while in other cases the entire mark was raised rather than impressed. In addition, the word “ETRURIA” may have been included. These marks are most commonly found on specific product lines, such as jasperware, that date between 1769 and 1780. It should also be noted that this was the time when fake marks began appearing, which can be identified by the ability to mar them with a sharp object fairly easily. Be aware that another mark used on ornamental pieces between 1769 and 1780 was “Wedgwood & Bentley” appearing in script. This mark is considered particularly rare. Another rare mark is “Wedgwood & Sons,” which would date the piece to 1790. Look for numbers. The inclusion of a number on pieces marked Wedgwood & Bentley refers to the number of the catalog the item first appeared in. If you see this kind of mark, the piece predates 1780. Other marks used by the Wedgwood & Bentley partnership include the names appearing in both upper and lower case or all lower case, followed by a period. These marks date Wedgwood pieces to the years between 1780 and 1795. Know how to date Wedgwood that is more recent. The word “ENGLAND” was added to the mark around 1891, while “MADE IN ENGLAND” was included in 1908. The sans serif font was adopted in 1929, and machine printed marks began appearing on bone china in 1950. 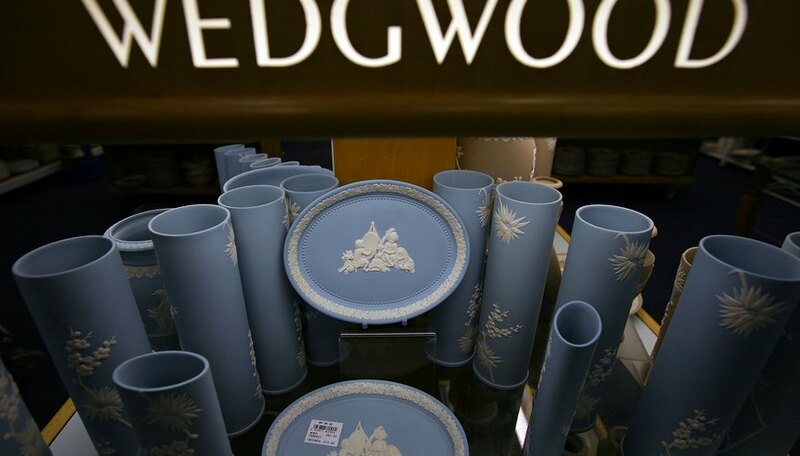 Pieces marked as “Wedgwood & Co” were either made by Knottingley Pottery or Enoch Wedgwood.